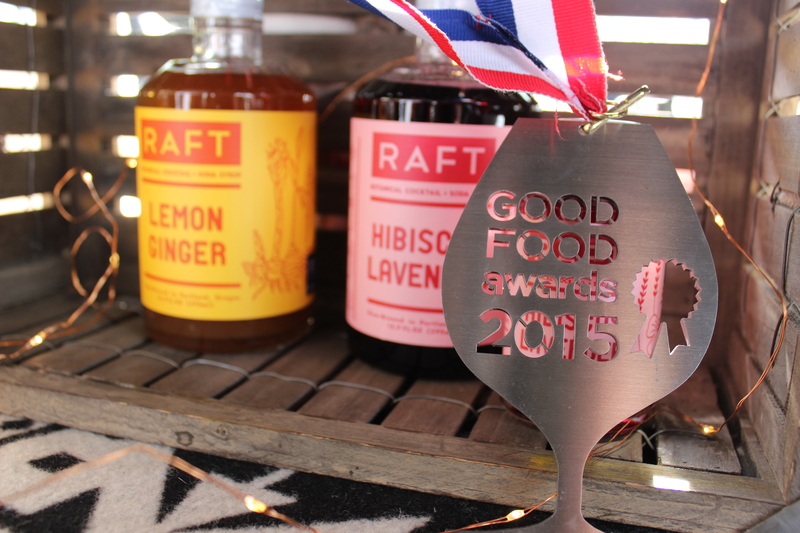 In its fifth year, the Good Food Awards celebrates food producers, farmers and artisans in 11 different categories: beer, charcuterie, cheese, chocolate, coffee, confections, pickles, preserve, spirits, oil and honey. This is one of my favorite events in San Francisco and I’ve made sure to attend every year, and it keeps getting better and better! The Marketplace takes place at the beautiful San Francisco Ferry Building with tables lined up outside all along the building. 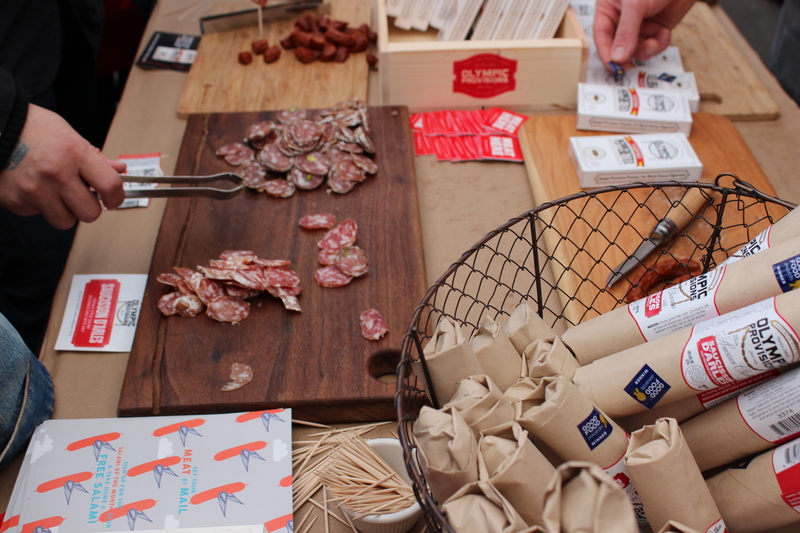 The place is buzzing with people there for the Saturday Farmer’s Market, the crowd that wanders through the Ferry Building and others there to enjoy tastes and sips from the winners of the Good Food Awards. The coffee section is the best way to start to get your own buzz. 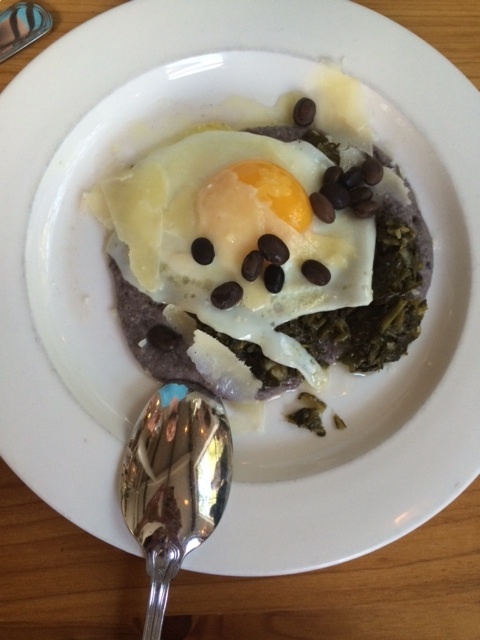 I enjoyed tastes from Blue Bottle, Square One, and Noble Coffee Roasters. 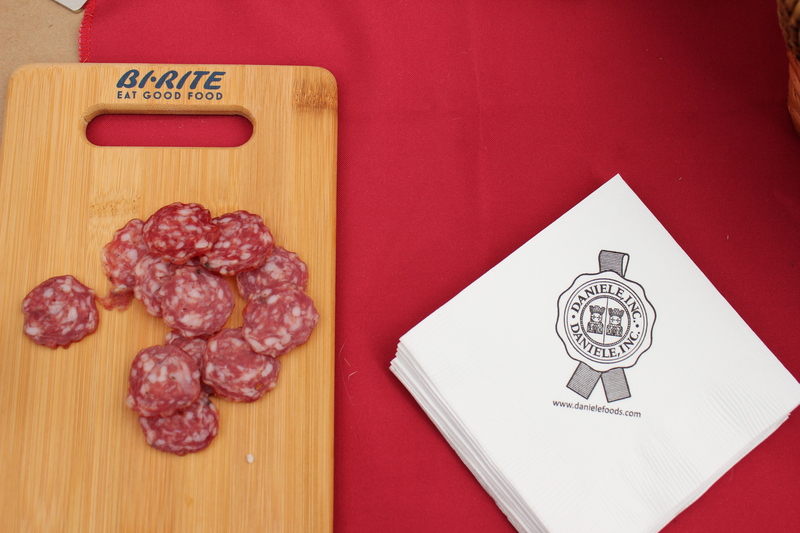 I then move on to the charcuterie and cheese, slowly moving from table to table, sampling and talking to the owners/producers themselves, some local and others that have traveled from the East Coast. Then it’s time for sweets, starting with tastes of the preserves and honey, and ending with chocolate. 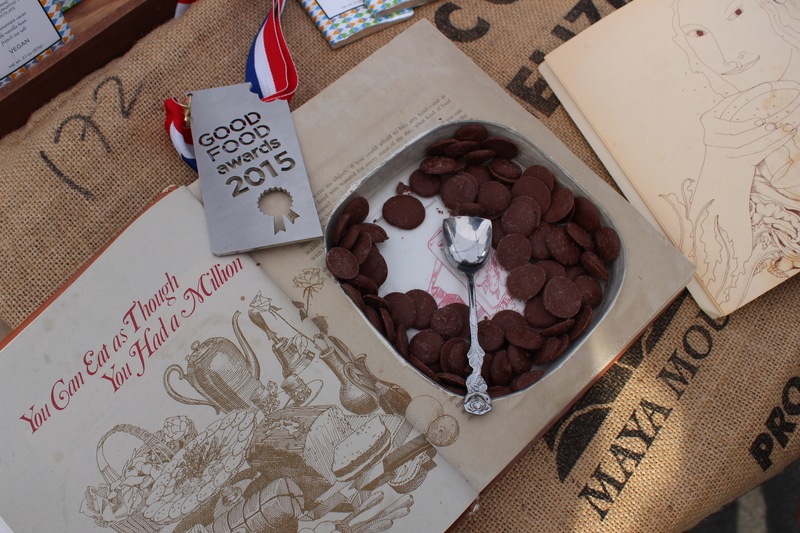 I was so excited to see Zoe’s Chocolate there as a winner, all the way from Waynesboro, PA where my husband’s from! 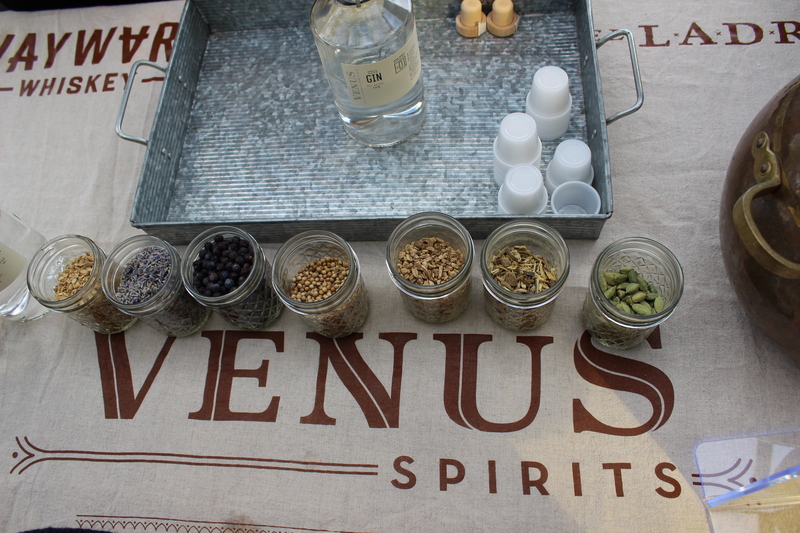 We then made our way over to the Beer & Spirits tasting. The Forbidden Planet from Bluejacket Brewery out of DC was one of my favorites and I also enjoyed the really unique Black Currant Cider from Finnriver Farm & Cidery based in Washington. 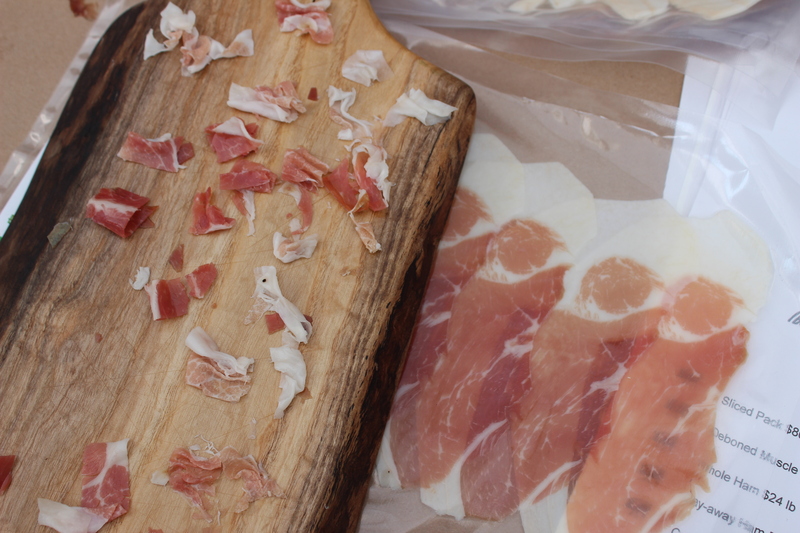 Charcuterie from Olympic Provisions based in Portland, Ore., is always my favorite. 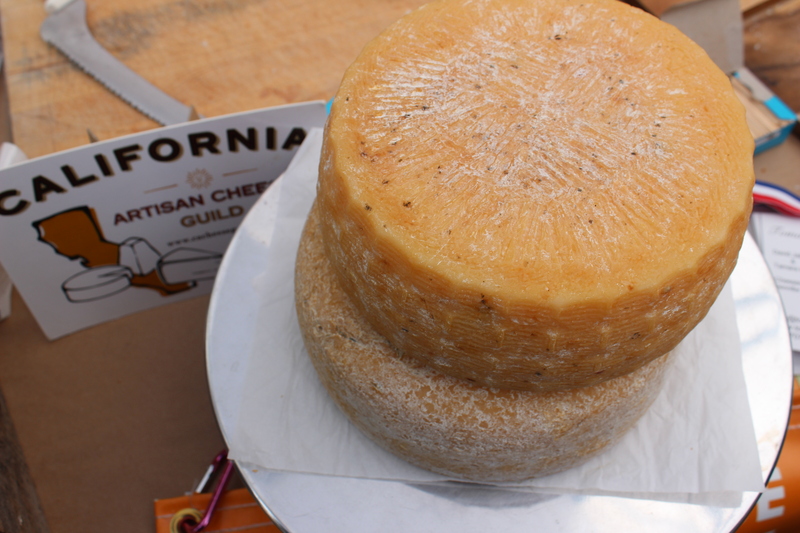 Cheese tastings from Point Reyes Farmstead Cheese Co. 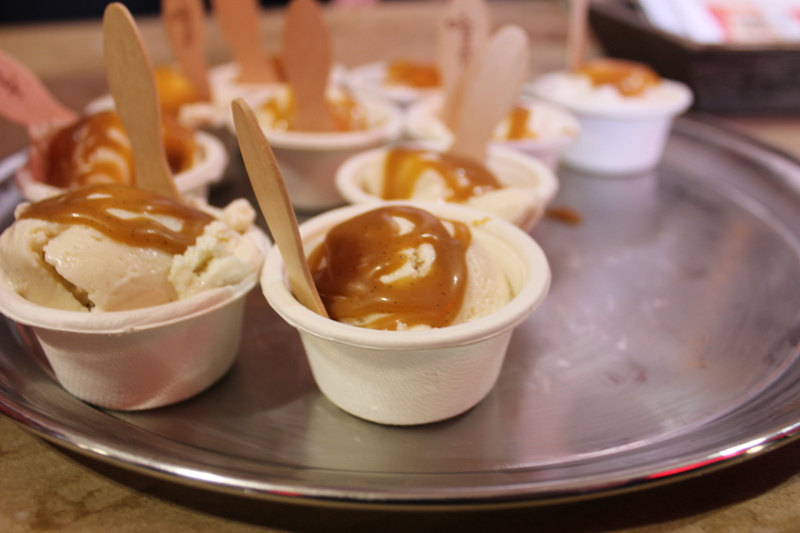 This ice cream from Jeni’s Splendid Ice Cream out of Ohio was to die for, especially topped with the salted caramel sauce. 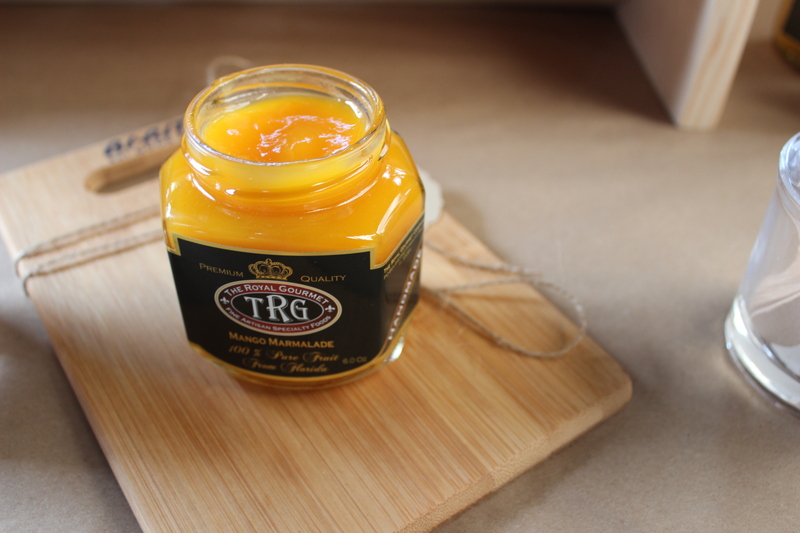 The Mango Marmalade from The Royal Gourmet was bright and tropical! RAFT was serving their soda syrups that are delicious to add to soda water. 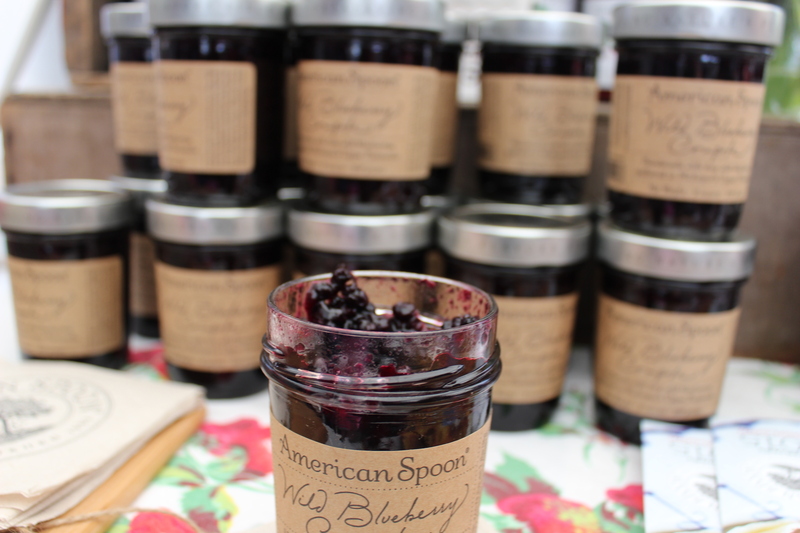 The Wild Blueberry compote from American Spoon tasted like eating tiny wild blueberries straight out of a jar and was one of the most unique compotes I’ve ever tasted. I was also lucky to meet the owner/producer of Bloomery SweetShine who won for their Seasonal Pumpkin Spice spirits, which was good on it’s own but would also be amazing drizzled over a cheesecake or other dessert! 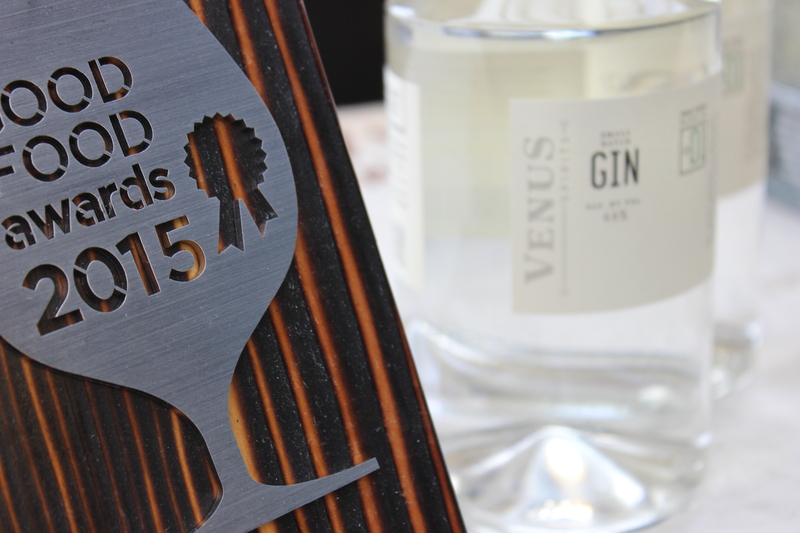 Congrats to all of the winners and the team for another great event! 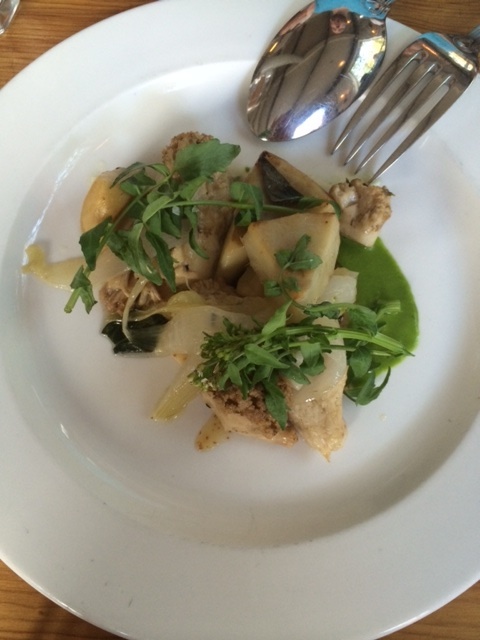 The London Plane and Bar Sajor: Seattle, Wash. This is long overdue but we had such a great time in beautiful Seattle. It reminds me a lot of San Francisco. 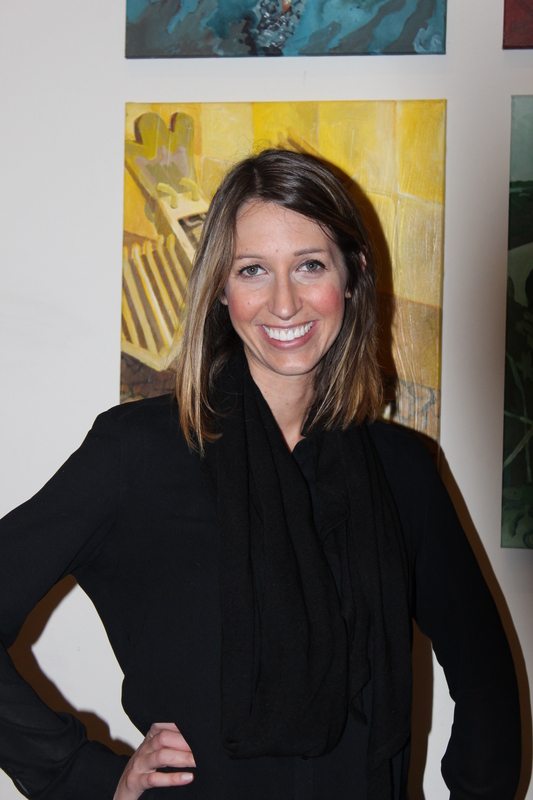 Great vibe, people, right on the water….and a great food and coffee scene. We were there celebrating my sister-in-laws graduation (she’s now a doctor!) 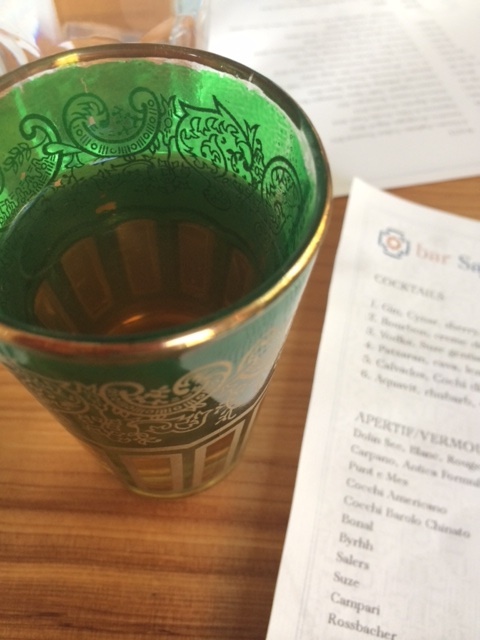 and then spent a few days touring around (in which the itinerary was based around restaurants and food!) The first stop we made was for lunch at The London Plan (thanks to the amazing recommendation from Madison Ginnett of Dessert Pocket). It’s located on the northeast corner in Pioneer Square and is part cafe, part specialty foods grocery, and part floral workshop (wish we had time for one of the workshops!) It’s a collaboration between the teams of Sitka & Spruce, The Corson Building, Bar Sajor, Old Chaser Farm, and Marigold & Mint. 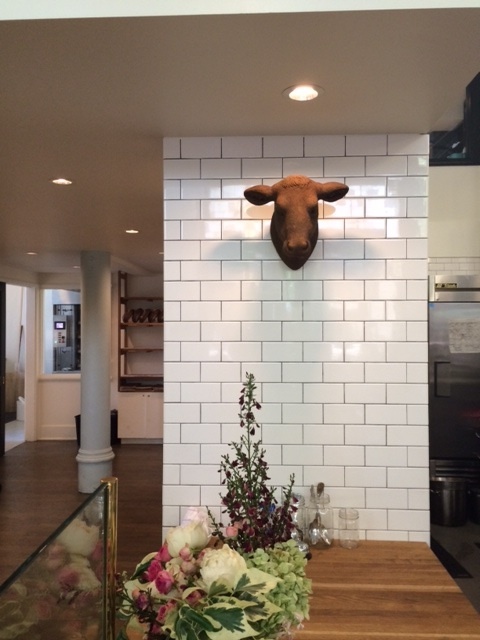 Subway tiles and floral decorations inside The London Plane. 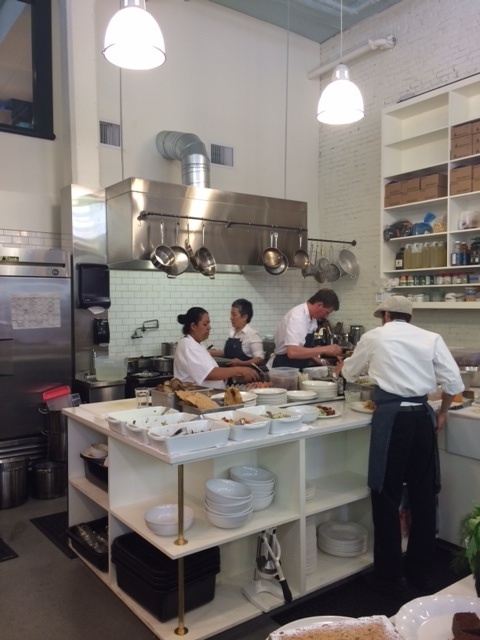 The open kitchen is phenomenal. 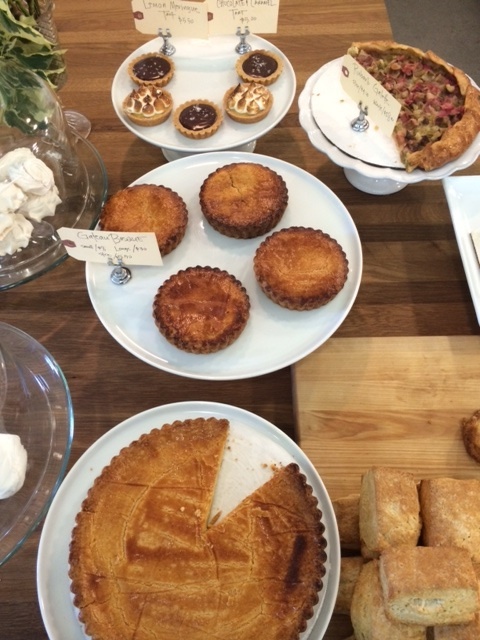 Part of the cafe where you can order baked goods to eat-in or take with you. 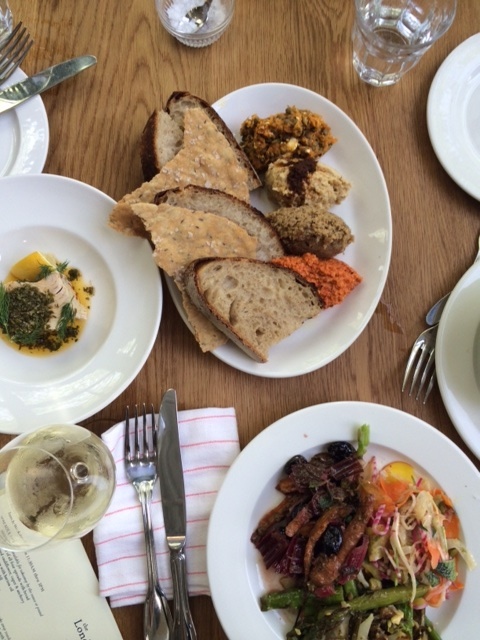 For lunch, we started with the Spreads & Dips and got the sample of all four that included: caramelized cauliflower, caper & anchovy; beet hummus with harissa oil; lentil, carrot, feta & dill; roasted red pepper & cashew – served with the housemade naturally leavened sourdough with herb butter. Second course was a trio of small salads that included: 1) honey-roasted carrots with chard leaves & stems, cumin & oil cured olives; 2) roasted asparagus & spring onions with pistachios & mint; 3) sprouting brassicas & potatoes with turmeric & mustard seed oil; 4) raw beets, fennel & radishes with ginger, lime & cilantro. 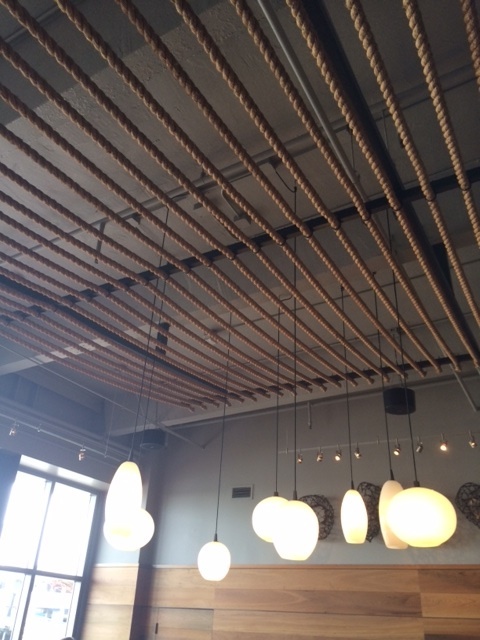 The food was delicious and the space was so open and bustling with Seattle-goers on their lunch breaks. 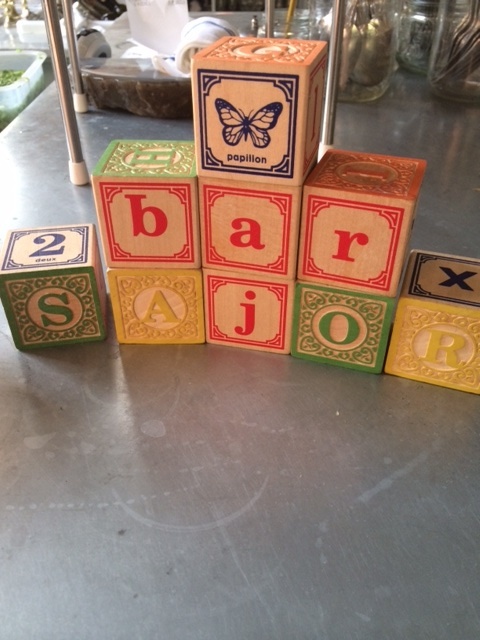 Bar Sajor has a beautiful open kitchen with a wood-burning oven and an open wood fire. 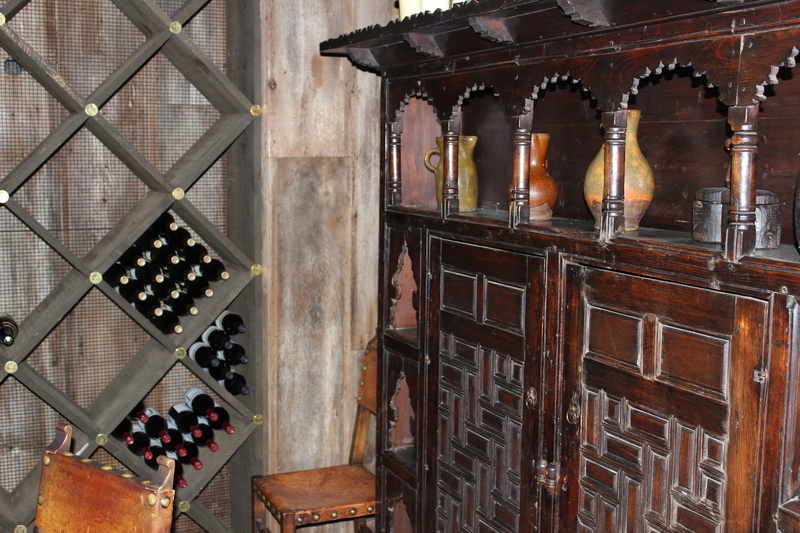 The space has so much rustic charm and the interior has palettes of white and blue with an Old Spanish World vibe. 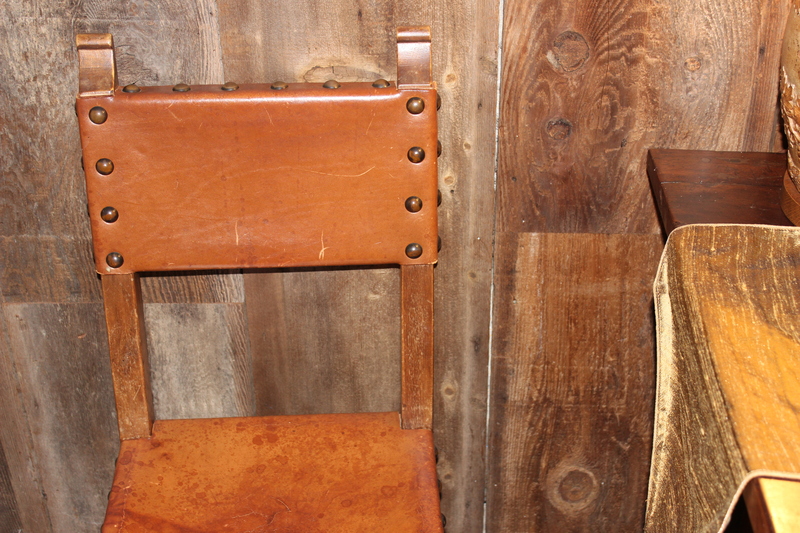 The ambiance is very lively – from the open kitchen to the bar and open seating. 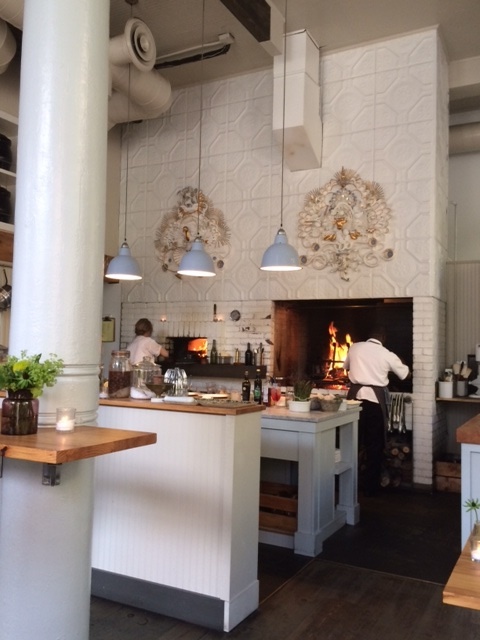 Our Seattle visit was much too short and we’ll definitely be back to explore the many other great restaurants it has to offer (including Sitka & Spruce, which is on the list). 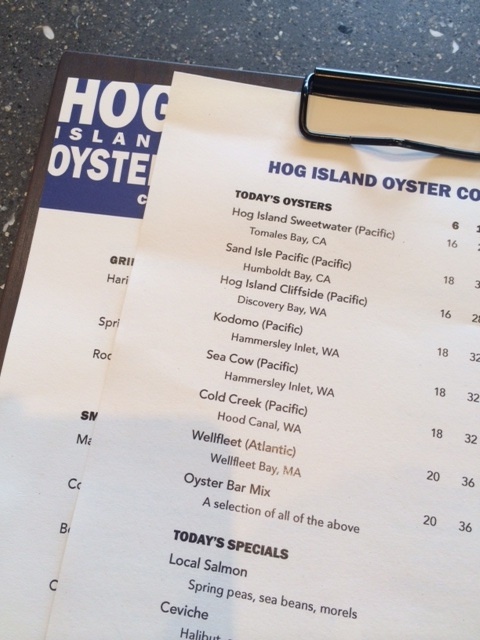 Hog Island Oyster Co. just reopened their oyster bar in San Francisco’s historic Ferry Building after being closed for a few months for expansion. Hog Island was one of the opening tenants of the ferry building during its transformation as a food marketplace in 2003. 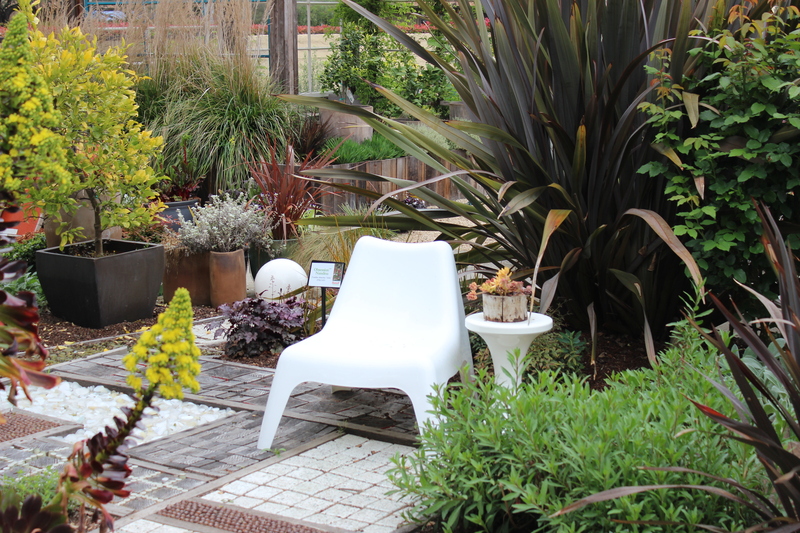 It’s a very popular spot in SF for locals and tourists alike. Tomales Bay, on the coast of Northern California, is where they harvest and shuck the amazing, hand raised, sustainable oysters and shellfish. The newly opened space has an expanded bar and much more seating. There is still a line outside, but don’t be intimated by it – it moves pretty quickly and it’s all worth the wait! 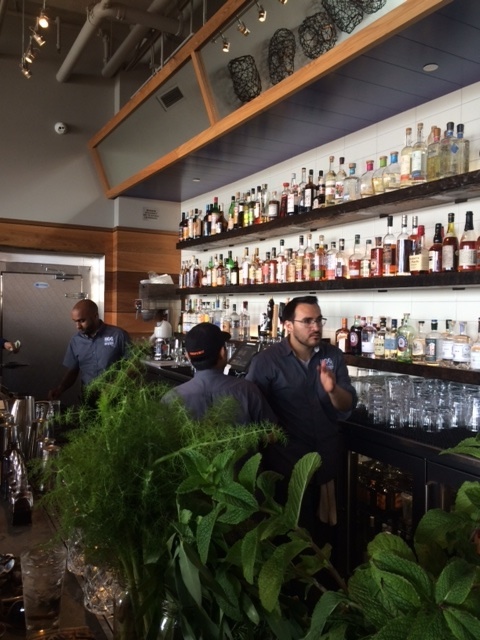 We were able to get one of the best seats – right at the oyster bar, overlooking the Bay Bridge and front row seats to watch their team shucking oysters. 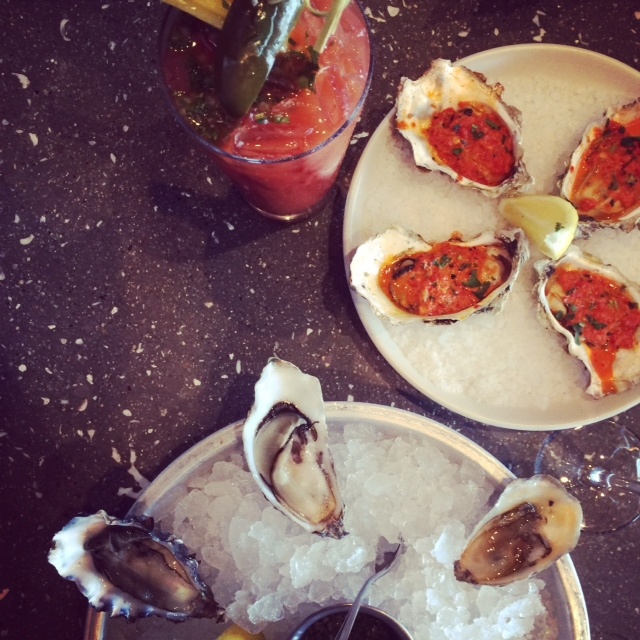 We ordered the half dozen chef’s selection and an order of the grilled oysters, paired with their bloody mary and a glass of prosecco. 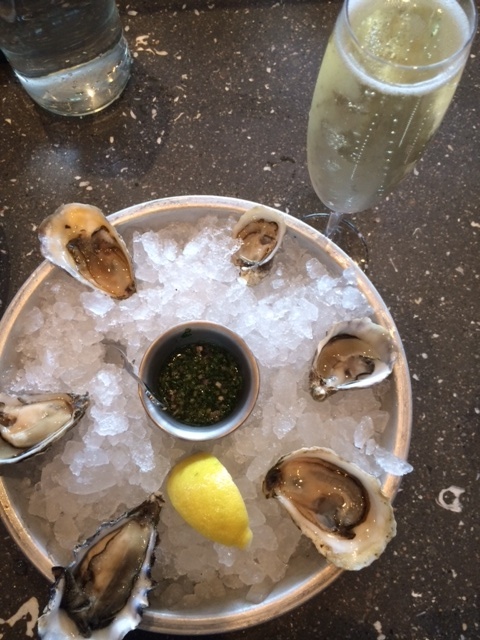 We will be back to indulge again at Hog Island over oysters and cocktails. 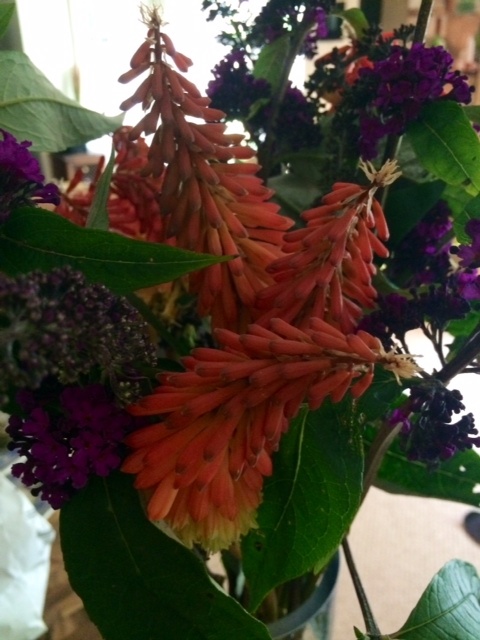 And since it was a Saturday, we wandered around the amazing farmer’s market and took home gorgeous purple and bright orange flowers that look perfect in the loft. If you know me, you know my “specialty” is bundt cakes. I have always loved baking. 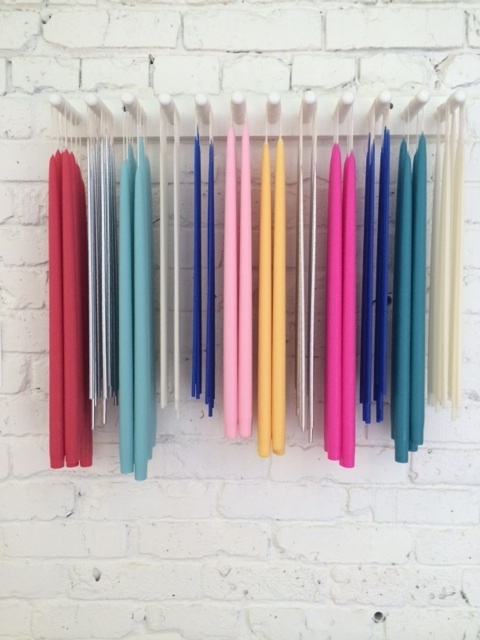 I grew up baking with my dad – we loved making everyone’s birthday cakes from scratch and chocolate brownies. For awhile, I baked a lot of cupcakes. And then I bought the book, Cake Simple, that changed my “baking” life. It is an amazing book filled with different bundt cake recipes – ranging from simple brown sugar bundt cakes to “foodie” bundt cakes and decadent chocolate fudge cakes. The pictures are also really great! I’ve made almost every bundt cake in the book and will now be going back through the book and making them again to complete perfection and also photographing the results. I usually bake a bundt cake on Sunday nights and bring it into the office (I work in hospitality PR and we all love food) and we call it “Bundt Cake Monday’s”. 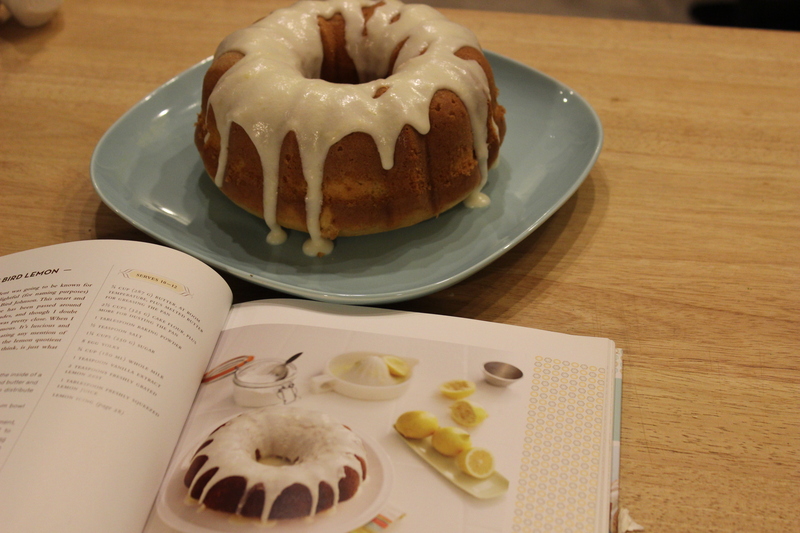 This week was a delicious lemon bundt cake – the fresh squeezed lemons really make the cake and the lemon frosting. 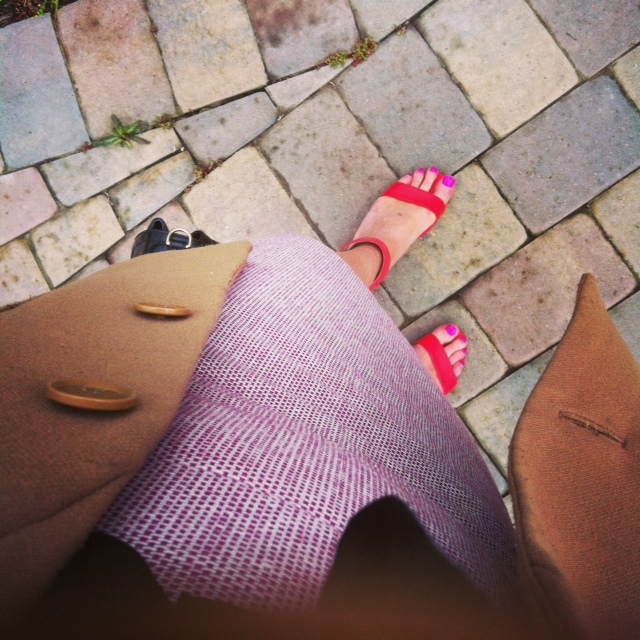 And onto equally important things – shoes! I found the perfect pair of shoes and out of all places from The City Target! I was strolling through to stock up on some household items and happen to walk past the shoe department. I saw this amazing red shoes with an ankle strap and perfect height! 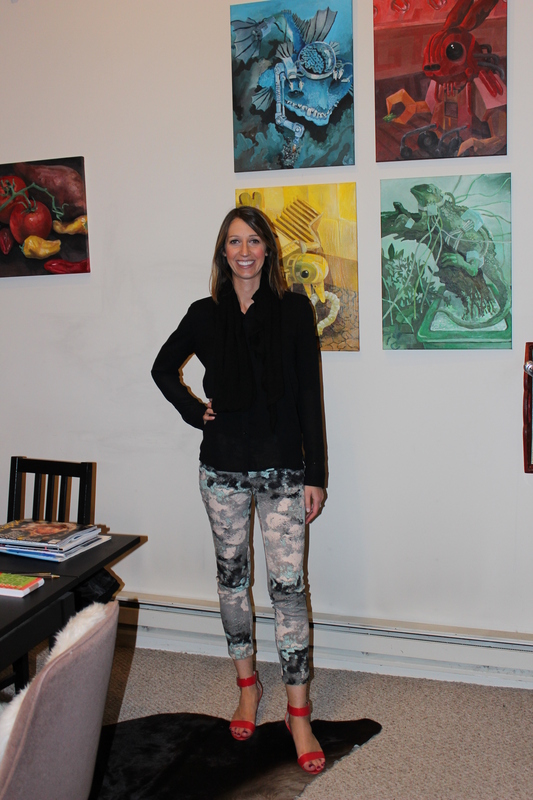 I wear them with many different outfits – from dark jeans to skirts and colored pants and get so many compliments on them. The red instantly brightens the day and any outfit. 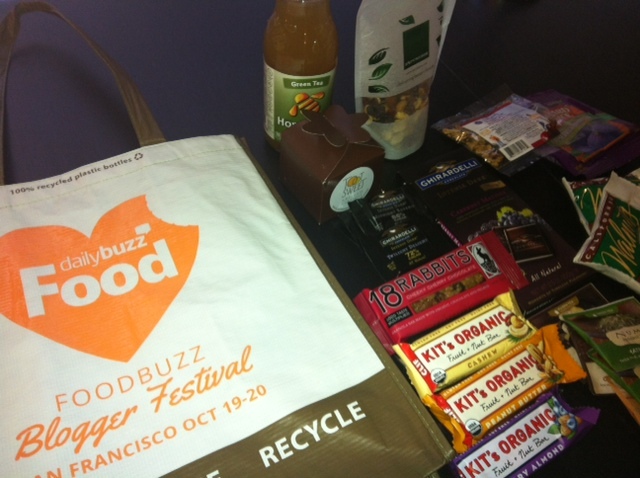 Yesterday kicked-off the 2012 DailyBuzz Food Blogger Festival in San Francisco! 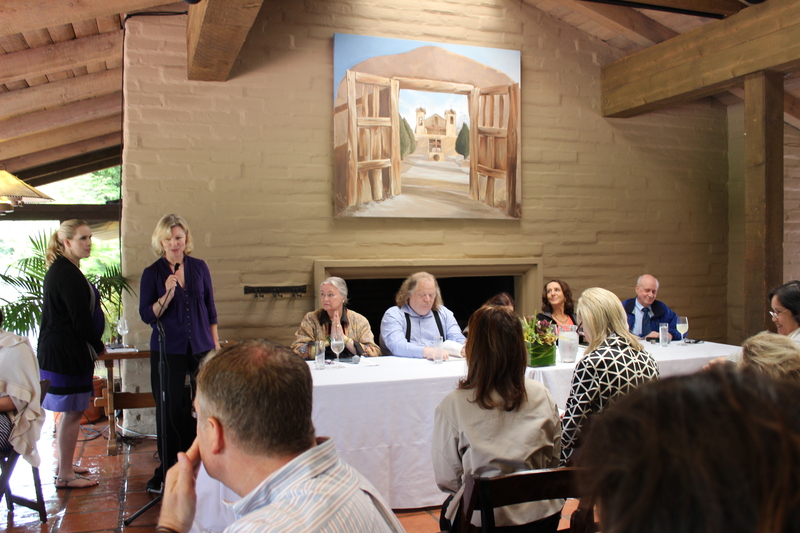 A great way to meet a lot of food bloggers and local vendors! 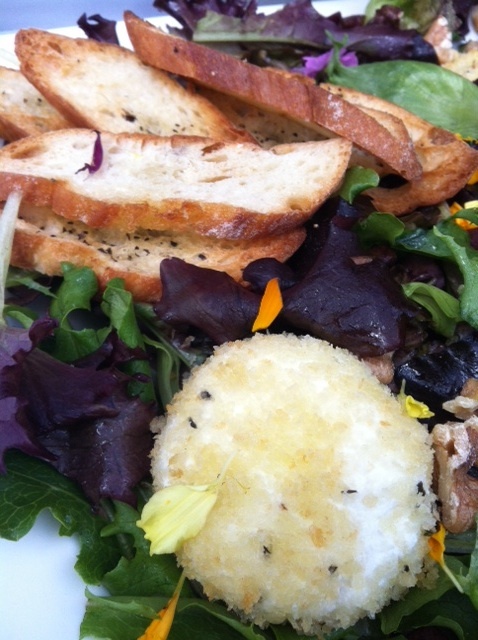 Today was the Tasting at City View in The Metreon – a beautiful space with amazing views of the city and SFMOMA. We arrived at 1pm when the event started and were given a great reusable bag to start filling with goodies! 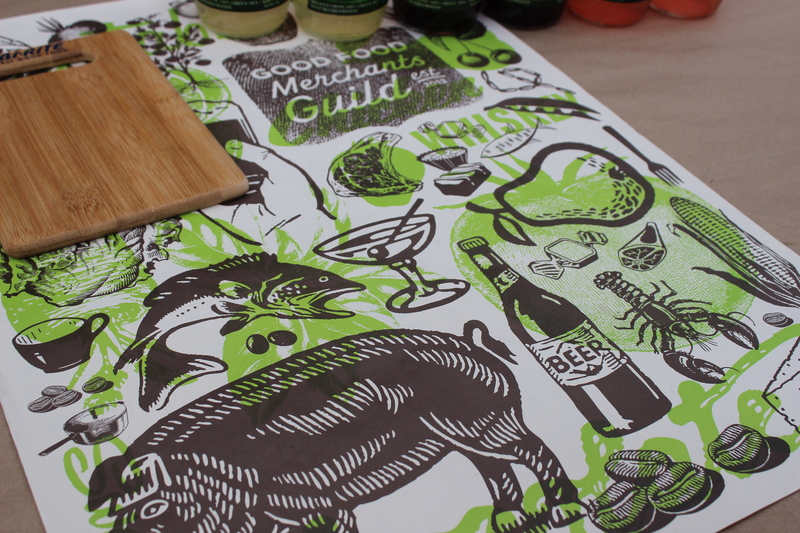 Our lovely Food blogger reusable bag! I’m already a huge fan of 18 Rabbits – my favorite granola bar is the Funky Fig & Cherries and I always buy the Gracious Granola with coconut. 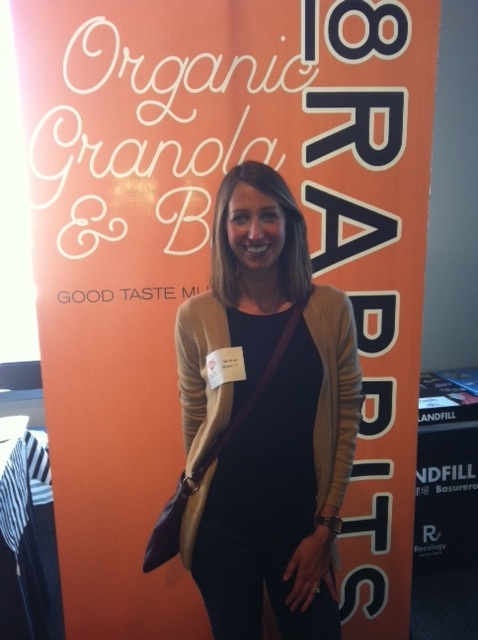 We were lucky to get a sample of the Cheeky Cherry Chocolate granola bar – can’t wait to try it! Of course you can never go wrong with Ghiradelli chocolate and there wasn’t a shortage! They were so kind to giveaway full chocolate bars of the Intense Dark Cabernet Matinee that’s infused with a hint of blackberry and Cabernet flavors! 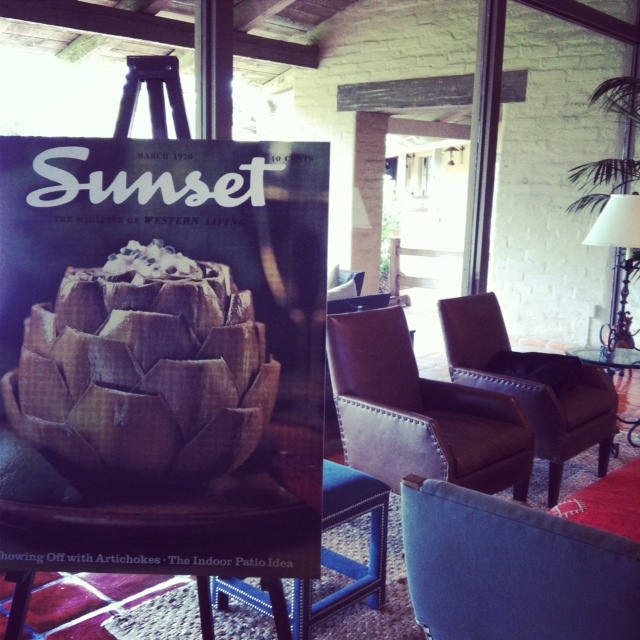 They also had samples of the Sea Salt Soiree, Twilight Delight and Midnight Reverie all paired with Cupcake Vineyards. Another one of my favorites in the goodie bag was the bars by Clif Bar – KIT’S ORGANIC. 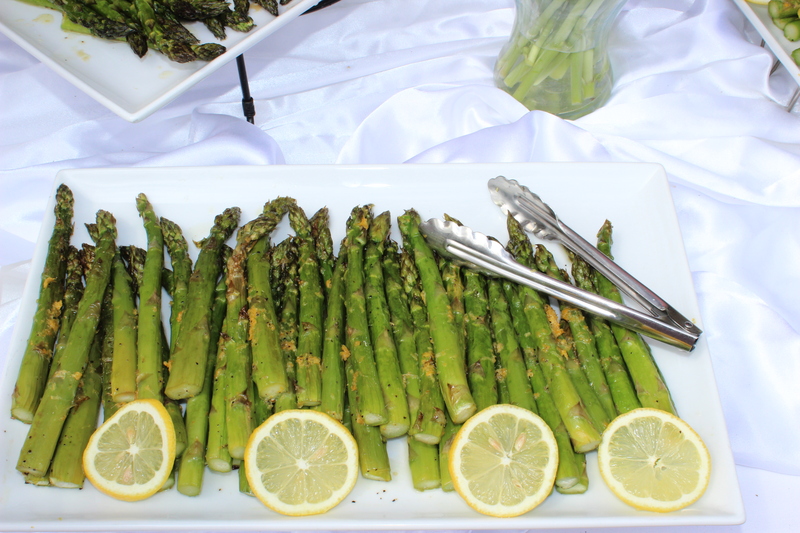 Lots of different flavors and they are gluten-free! 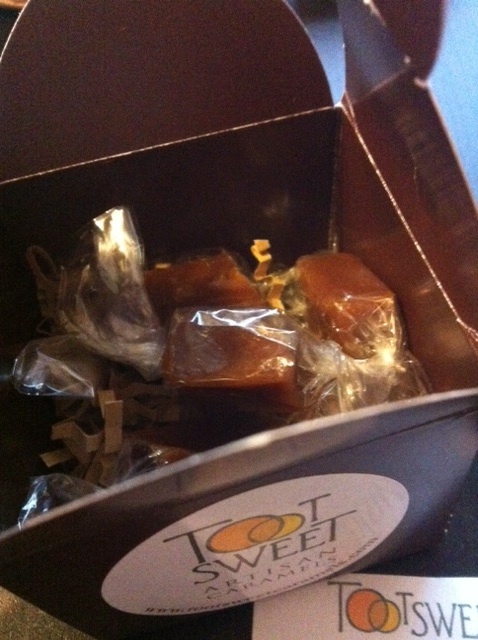 Toot Sweet had cute boxes filled with samples of their artisan caramel – a pistachio rosemary and a salted honey. Really sweet and delicious! 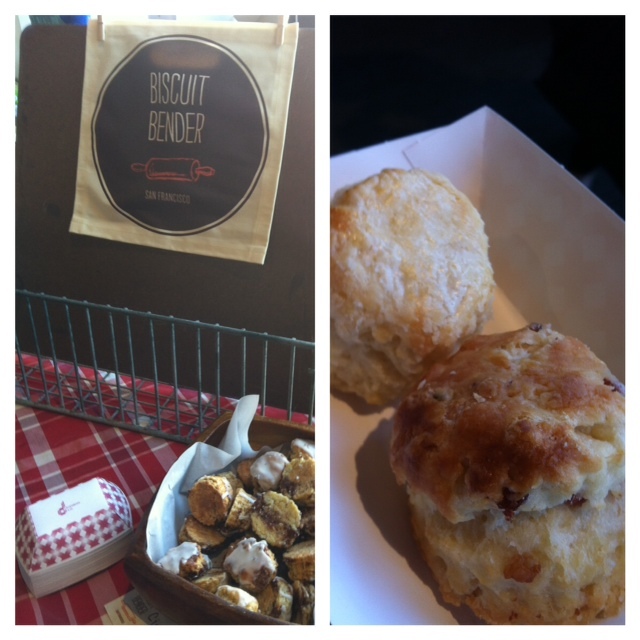 I was so excited to see Biscuit Bender at the food festival today. I saw their new kiosk that opened recently at the Ferry Building and have been anxious to try their biscuits. We tried the classic and the double bacon – both delicious and perfectly made! 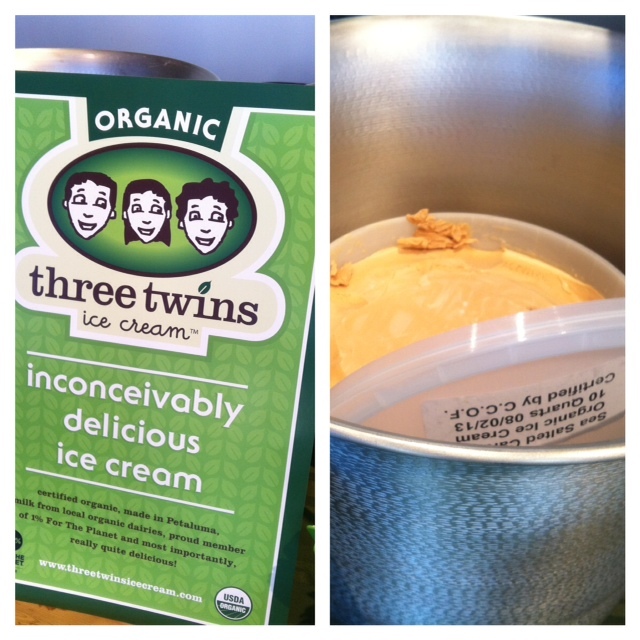 Three twins ice cream was another one of my favorites. They were serving 4 different flavors of their ice cream and we went for the cardamom because it was the most unique! It was very flavorful. The ice cream factory is in Petaluma and you can find it at Whole Foods and various other markets, as well as the Berkeley Farmer’s Market. Alaska Seafood had a long table setup with beautiful whole fish! 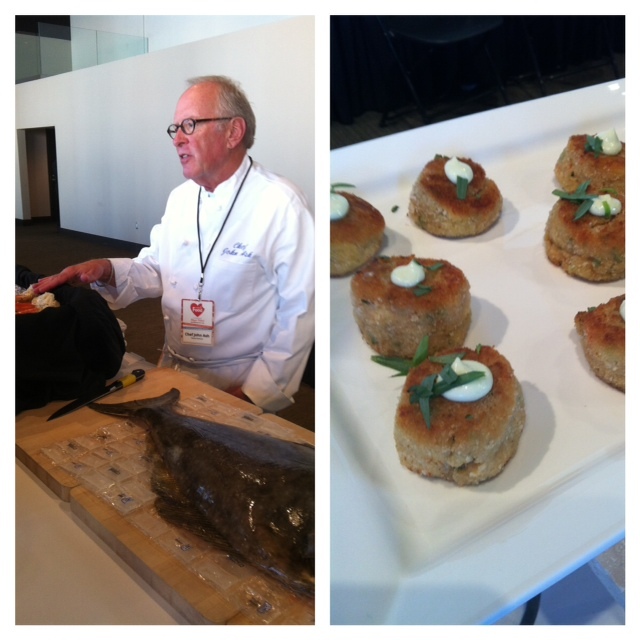 We sampled a halibut in a Thai curry sauce that was perfectly cooked and an Alaskan snowcrab cake. 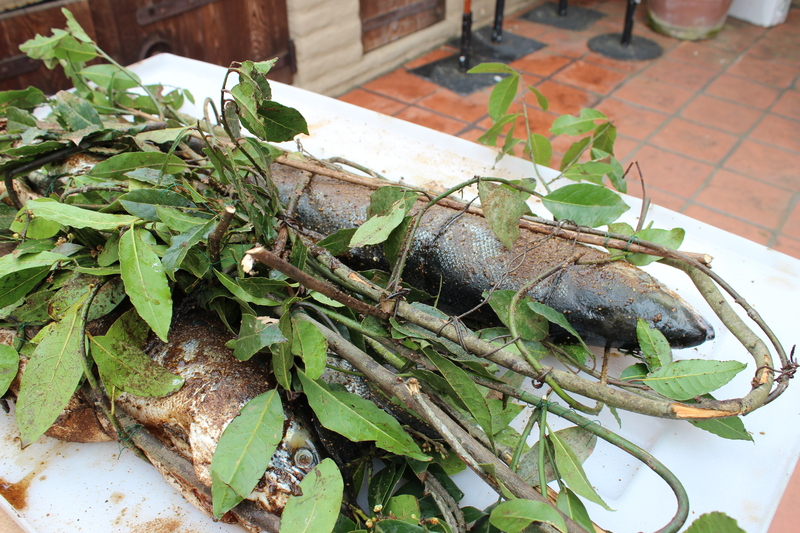 Very fresh fish and natural and sustainable.